Delicious with: grilled meats, roast beef and lamb dishes with herbs. "Vinum Wine Magazine" has rated the wine "Georg Mumelter - Griesbauerhof Lagrein Riserva Sudtirol, Trentino-Alto Adige, Italy" from the vintage 2012 on 01.02.2015 with 16 of 20 points. "Vinous Antonio Galloni" has rated the wine "Georg Mumelter - Griesbauerhof Lagrein Riserva Sudtirol, Trentino-Alto Adige, Italy" from the vintage 2011 on 01.03.2014 with 93 of 100 points. "Vinous Antonio Galloni" has rated the wine "Georg Mumelter - Griesbauerhof Lagrein Riserva Sudtirol, Trentino-Alto Adige, Italy" from the vintage 2010 on 01.05.2013 with 91 of 100 points. "Vinum Wine Magazine" has rated the wine "Georg Mumelter - Griesbauerhof Lagrein Riserva Sudtirol, Trentino-Alto Adige, Italy" from the vintage 2008 on 01.05.2011 with 16 of 20 points. "Falstaff Magazin" has rated the wine "Georg Mumelter - Griesbauerhof Lagrein Riserva Sudtirol, Trentino-Alto Adige, Italy" from the vintage 2007 on 15.09.2010 with 90 of 100 points. 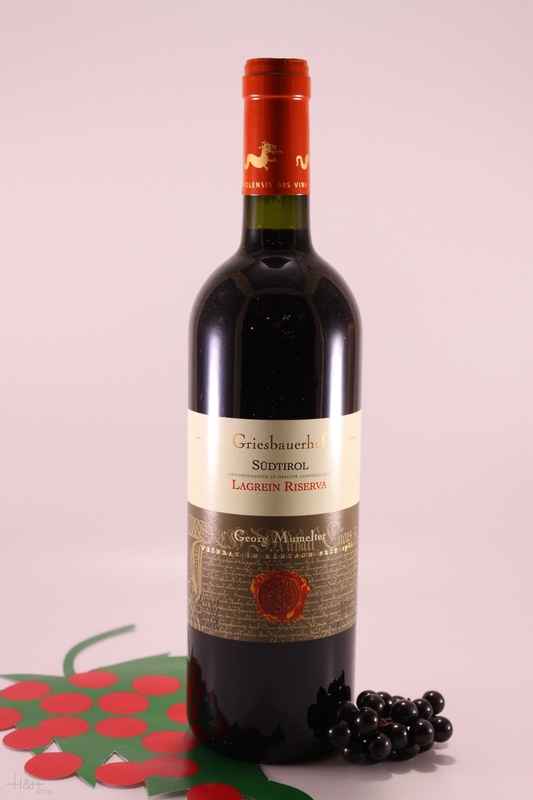 "Vinum Wine Magazine" has rated the wine "Georg Mumelter - Griesbauerhof Lagrein Riserva Sudtirol, Trentino-Alto Adige, Italy" from the vintage 2003 on 01.04.2006 with 16 of 20 points. "Vinum Wine Magazine" has rated the wine "Georg Mumelter - Griesbauerhof Lagrein Riserva Sudtirol, Trentino-Alto Adige, Italy" from the vintage 2001 with 15 of 20 points.